Last weekend I attended another Anna Dvorak retreat, this time with seven of my Le Donne friends. One of the key components of Anna’s retreats is silent breakfast. We rise when we wish and Anna is up. She is already there, prepared to nurture us with her organic, fresh, nutritious foods and with our custom juice blends. And as we start our day together, we move in silence. We share the silence, quietly living in the same space for approximately two hours. Some of us read, others write. We eat and drink at our own pace as the time set aside elapses. When the moment has come for the silence to be broken, Anna lightly taps a meditation bowl with a copper wand, creating a gentle ringing sound. Still, we are all reluctant to break the silence. It has become effortless. What this experience offers–after one gets past the initial trepidation–is meaningful, peaceful and surprisingly potent. No pressure to speak or interact, yet in the deep companionship of beloved soul-friends. 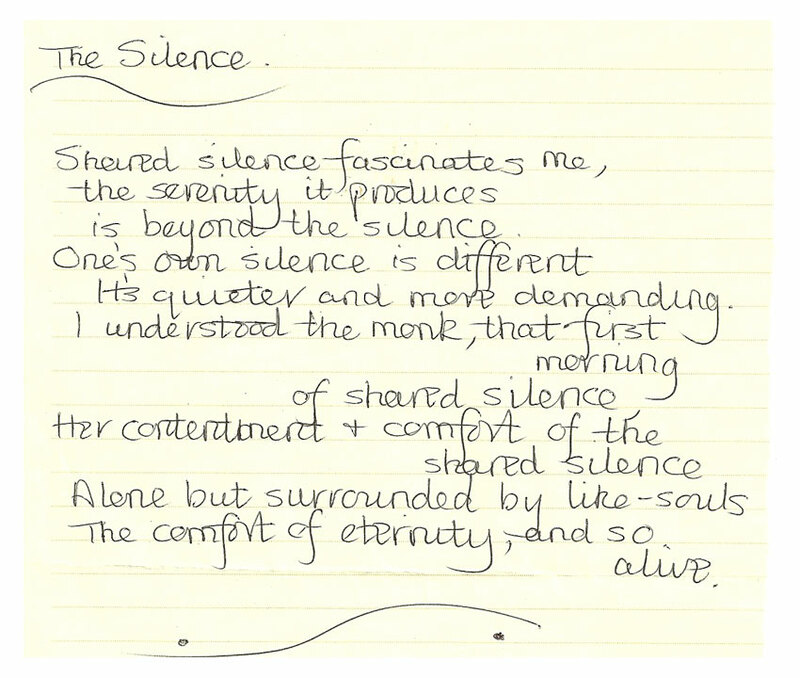 I’m grateful that my friend Anne-Marie captured the essence of our shared silence in this poem. Even more, she has given me permission to share it in today’s blog post.